Found less than two miles from Dolly Parton's Stampede Dinner & Show, the Scenic Hills Inn offers travelers a comfortable place to stay in the heart of Branson's entertainment district. 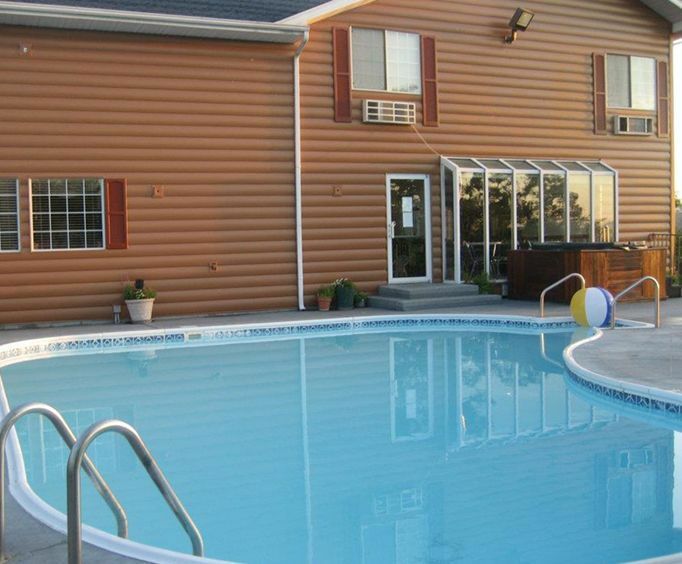 The hotel offers many amenities and comforts such as an outdoor pool, hot tub and more. A complimentary hot breakfast is provided daily, including homemade cinnamon rolls. Additional attractions within two miles of the hotel are the Branson Titanic, Acrobats of China, and the Hollywood Wax Museum. When the weather is favorable, you can begin your day with a swim in the seasonal outdoor pool. 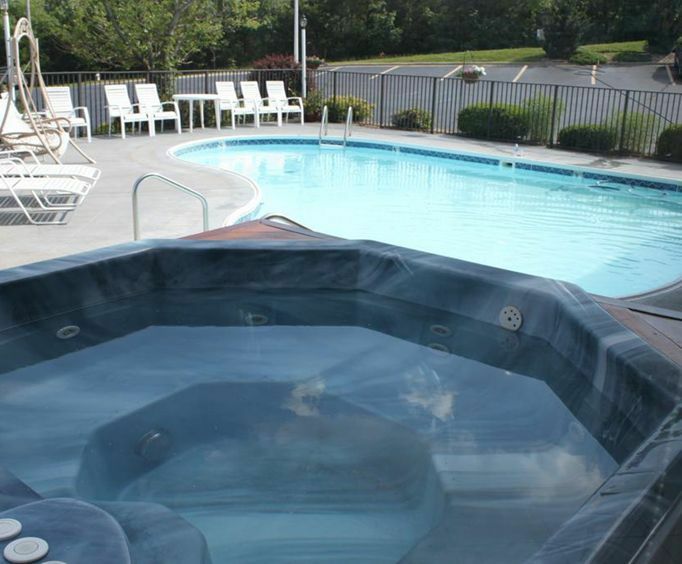 Alternatively, you can relax in the outdoor hot tub and enjoy the fresh air of Branson. Upon returning to the indoors, guest laundry services are provided for convenience while you're away from home. The gift shop is also a great place to spend some time, as it offers numerous souvenirs for all tastes and preferences. Relax in the morning with a cup of coffee as you catch up on emails using the free high-speed Internet, or watch the morning news on your 32-inch flat screen television. Also available is a hair dryer, alarm clock, and iron with an ironing board. The rooms come equipped with your own personal refrigerator, which is perfect for storing leftovers from one of the great restaurants located within a mile of the hotel, including B&period;T. Bones Steakhouse, McFarlain's Family Restaurant and Baldknobbers Restaurant. Also within a mile are two shopping malls, the Tanger Factory Outlet and Factory Merchants Branson. The staff was very friendly and helpful when we arrived, and when we forgot our keys. The room was very nice considering the price. 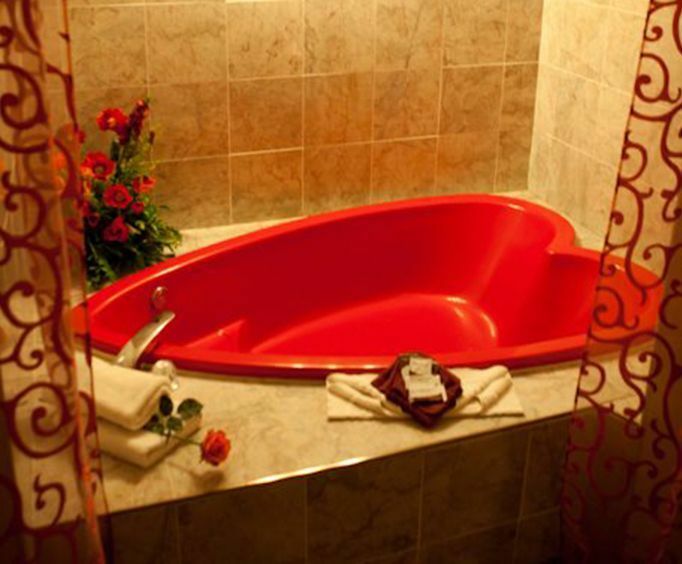 We reserved a jacuzzi suite and the jacuzzi was very nice, but make sure you plan to wait about 10 minutes to fill the large tub. The hotel is located just a couple minutes from 76 highway and branson landing, so it was nice to be close to the strip. Would reserve this place again! The motel was very clean, and the staff was very polite and professional. It was an older hotel, but clean and quiet. The staff was friendly and accommodated our requests quickly.